Home » About IBP » Why Choose IBP? At Impact Business Partners, we specialise in transforming sales team performance and strategy. Whatever your business, at the heart of it all is your sales team. Without sales, there is no business! I believe that our end-to-end sales transformation solution will set your organisation apart from your competitors and deliver top-line revenue growth quickly and sustainably. I am proud that we take a more rigorous approach to the sales environment. 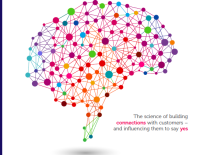 Our sales transformation programmes are the result of extensive research into a myriad sales techniques, both historic and current trends, and seller and buyer behaviour, combined with behavioural psychology. Our team is always challenged by me to keep it real. Yes, we are bright and innovative people, but everything must also be practical and pragmatic. It must work in real life. I think this is one of the key things that our customers love about us – we bring them leading-edge thinking and then bring it to life in their organisations. Around the world, in organisations both large and small, I have observed a struggle to ensure that training is adopted in reality. This also makes it extremely difficult to measure its impact and to continue to demonstrate a return on investment. We take a blended approach to our programmes to ensure that we keep the audience engaged, and combine this with fieldwork and assessments throughout the learning journey. This allows us to work with you to define the metrics of success and to build programmes that deliver real change and tangible return on investment. At IBP, we consider ourselves to be business partners to your organisation. We work with you to help define, develop and deliver the sales transformation that will drive your revenue growth. We have helped our clients achieve many accolades for their development programmes, through Investors In People, the UK’s National Training Awards and the Personnel Today Awards to name but a few, but we have also supported them triple new business, halve discounting rates and deliver double-digit revenue growth year on year. To discuss your challenges and needs, and to allow us to share our latest insights into the sales arena, please contact us.